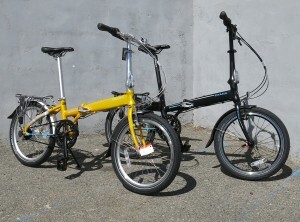 Oyama, based in China and Taiwan, is a 50 year old bicycle brand that has been making folding bikes for about 30 years. 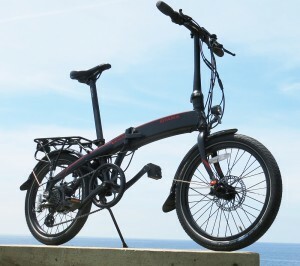 With the recent launch of their first electric folding bike the CX E8 and the upgraded CX E8 V-2, Oyama is entering the North American market with their entire line of electric and non-electric folding bikes. Now available at Electric Cyclery, Oyama folding bikes are well-built and feature quality components at an exceptional price. The CX E8D V2 is quite easily the highest performance electric folding bike available. Its cutting-edge motor controller and torque-activated pedal-assist provide smooth amplification of your pedal strokes with the power of a 350 watt Aikema rear hub motor to boost you up hills effortlessly. Oyama is behind some of the latest developments in electric bike tech with their revolutionary, cutting-edge motor controller and a super seamless, torque-activated pedal-assist system that provides a shockingly powerful amplification with the lightest of pedaling. 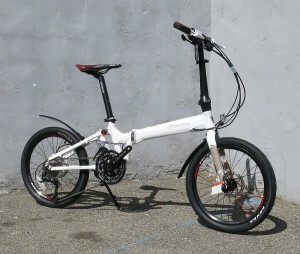 The Skyline IN7B – Once you try a belt-drive folding bike, you never want to go back. The 7-speed internally-geared Oyama Skyline IN7B features a super-clean belt drive and a seven-speed internal drive-train for maintenance-free and grease-free smooth as butter rides. With the coolest tech and forward-thinking innovation, Oyama pays attention to the details that make for an excellent folding bike ride. The Rocker 30D – A stretched-out folder with a soft-riding, rear shock. 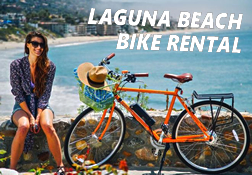 The OYAMA Rocker 30D folding bicycle employs the use of an OYAMA-patented performance-aluminum, folding bicycle frame with 30 speeds. The Rocker frame features a polymer cushion in the rear suspension which helps smooth out rough patches while its longer wheelbase enhances stability over many surfaces.